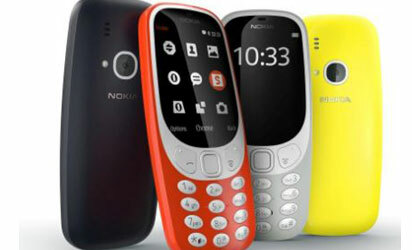 Some Abuja residents on Saturday said they were excited about the recent announcement of the release of a revamped version of the popular Nokia 3310. The phone which was first produced in the year 2000 was known for its durability and long battery life. It was unveiled during HMD Global press conference at on Sunday, Feb. 26. The phone which will be released by the new Finnish producers of Nokia known as HMD Global, is expected to be sold in markets across the world in the second quarter of the year. Some of the residents who spoke said they were happy that such a phone was being revamped giving reasons why they would be patronising the model. Clement Okoro, an entrepreneur, said that he was surprised to hear that the Nokia 3310 was being brought back to the market and that he planned on purchasing it once it was available. “The Nokia 3310 was an amazing phone that could not be affected by anything. “I remember my mother had the phone when I was a child and it fell into a pool of water twice, not to mention the countless times it fell on the hard floor, but it kept working. “I am excited to hear that the phone will be in markets soon because I need such a phone for my business and it is nice to learn it’s been upgraded with a camera and 16 megabyte internal memory. “I currently use an iPhone and anyone who knows an iPhone well knows that the battery does not last and the phone is very fragile, yet, the phone is extremely expensive. “Everyone who has a Smartphone should have a phone like 3310 for backup’’ Okoro advised. Also speaking, a civil servant, Susan Iyaye said “I am happy that this durable phone is back in production and it has been designed to fit the current digital age trend. “I struggle with my phones most times because of the poor electricity supply we all deal with in Nigeria. “The 3310 of those days could last up to four days, if not more, without being charged so I am eager to see how this revamped version will perform. “I am definitely purchasing this phone once I hear it is in the market. I’m sure it will sell well in countries like Nigeria because the product is highly dependable,” she said. Another resident, Glory Anyawu said that she was excited at the news because the re-emergence of the phone would meet the needs of low-income earners. “I am very happy about this news because it is a phone that fits my lifestyle and income. “This phone will help people like me who struggle financially. I will also not have to worry about my phone not being charged when there is no electricity. “We always made fun of how 3310 could be used as a weapon during fights and how it could survive under water but in reality, the phone was extremely durable and dependable. The phone, which is expected to be slimmer and lighter with full colour display, would be made in four colours; red, yellow, blue and grey.